Kangana Ranaut's other projects include Panga, Mental Hai Kya and the Jayalalithaa biopic. 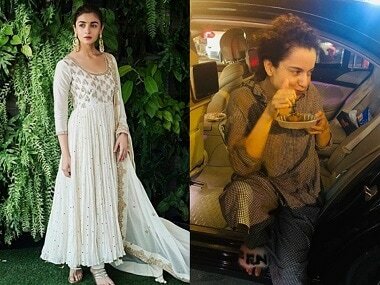 Alia Bhatt dressed in a Punit Balana creation for Kalank's promotions; Kangana Ranaut binged on golgappe in Delhi. Kangana Ranut stated that after the box office success of Manikarnika: The Queen of Jhansi, she wants to further her directorial career for now. Kangana Ranaut had recently condemned Ranbir Kapoor refusing to comment on political issues.